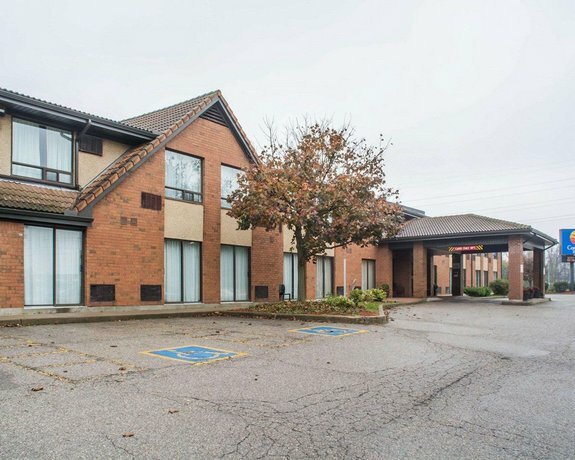 This property is situated within a commercial/business park of north Guelph and is ideal for business travellers looking to access nearby offices. 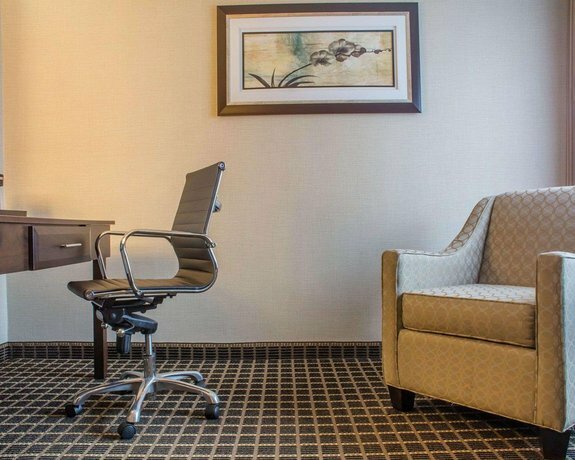 This hotel also offers business services such as dry cleaning, a business centre, and free Wi-Fi. Both smoking and non-smoking accommodations are available. 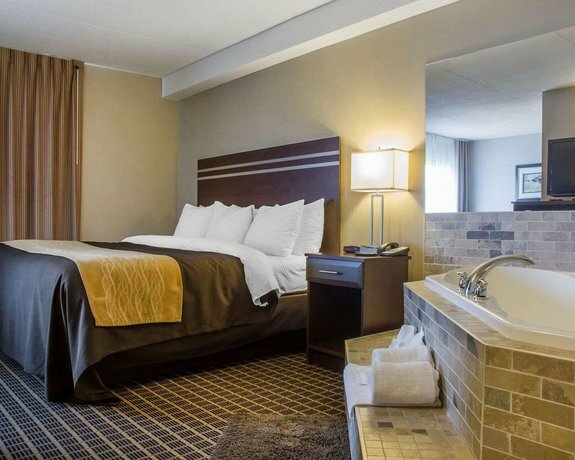 All 77 rooms include free Wi-Fi, free local calls, a coffeemaker, an iron and ironing board, a mini-fridge, a microwave, air conditioning and a TV with pay-per-view movies. 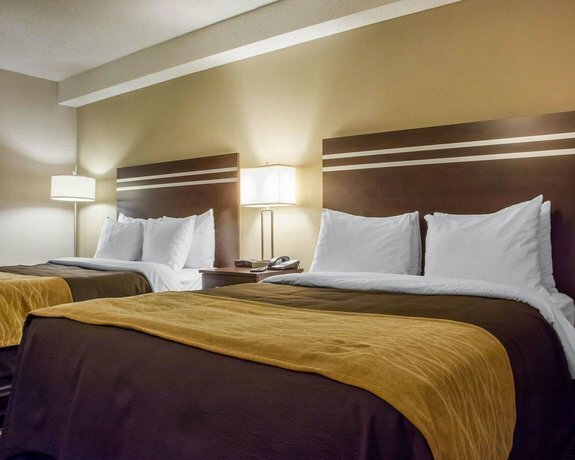 Rooms are furnished with either 1 queen bed or 2 double beds. Free parking (with cold weather hook-ups) is available on-site. Pets are permitted at no additional fee. 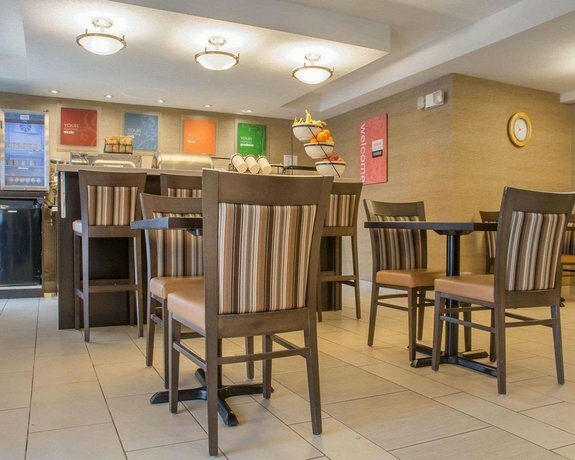 A free breakfast is served from 5:30 am to 10 am on weekdays and from 6 am to 10 am on weekends. 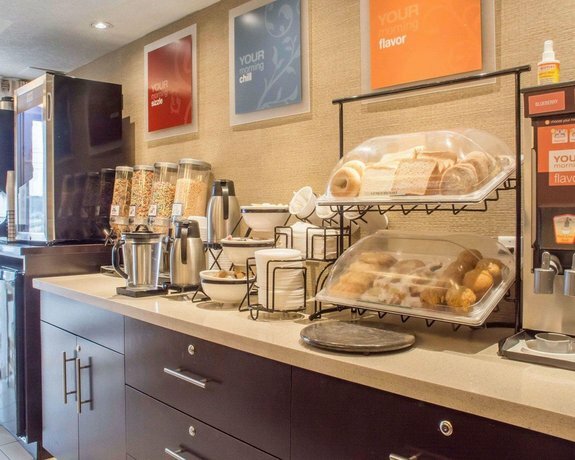 Other on-site amenities include free newspapers, a business centre (fax and copy service), dry cleaning (extra fees apply) and currency exchange services. There are a few restaurants located within a 1-minute drive (or a 5-minute walk) of this hotel. The downtown area, which features the Guelph Farmer's Market, the Guelph GoTrain Station, The Sleeman Centre (sports and entertainment venue) and The Old Quebec Street Mall, is about a 10-minute drive away. 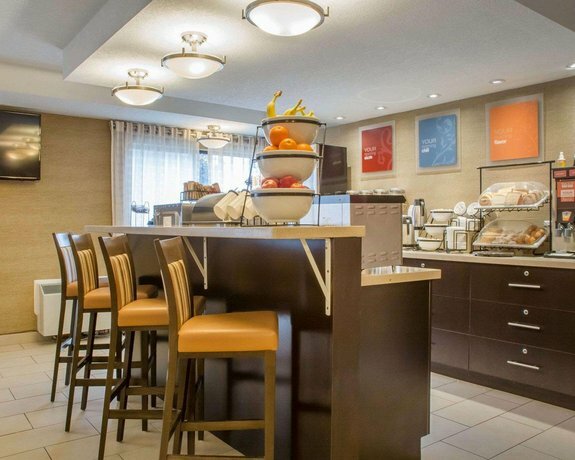 Verified by a front desk agent on November 12, 2012: The free breakfast is served from 5:30 am to 10 am on weekdays and from 6 am to 10 am on weekends. Pets are permitted at no additional fee. Positive reviews greatly outnumbered negative reviews for this hotel among the reviews used for this analysis. Many guests described their rooms as clean and well maintained. One reviewer said that his room was "immaculate". A few guests thought their beds were comfortable and a couple of reviewers said that their rooms were well appointed with modern furnishings and bathroom fixtures. Many reviewers praised the food and selection at the free breakfast. 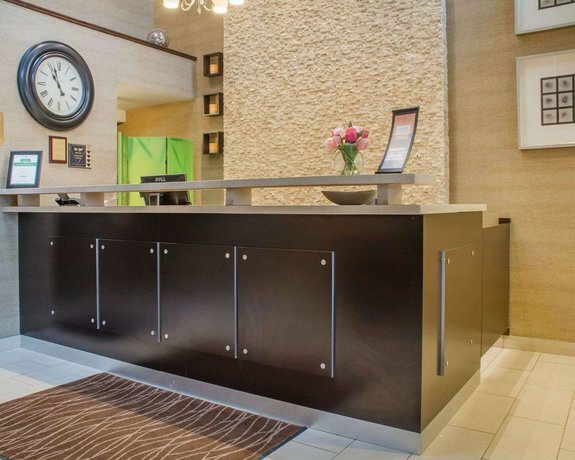 Guests described the front desk staff as courteous, helpful and attentive. One guest said "They were always willing to help arrange travel, find restaurants or give directions." A couple of guests found the location convenient for exploring the Guelph area by car. A couple of reviewers thought that the room rates were reasonable and that the hotel offered good value. 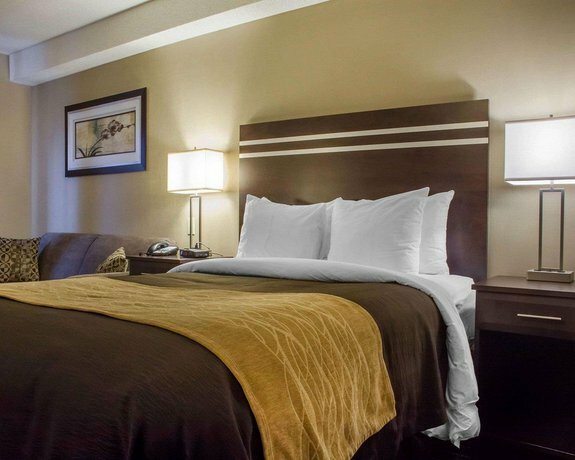 Guests mentioned the following amenities as value-added features: free Wi-Fi, in-room mini-fridges, free parking and the pet friendly policy (pets stay for free). As mentioned above, positive reviews for this property greatly outnumbered negative reviews, among the reviews sourced for this analysis. However, there were a few common concerns and a few isolated complaints mentioned by guests. 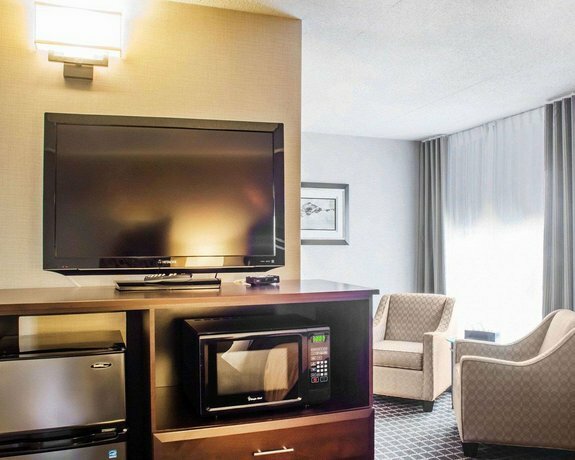 A couple of reviewers described the in-room air conditioning units as noisy and disruptive. 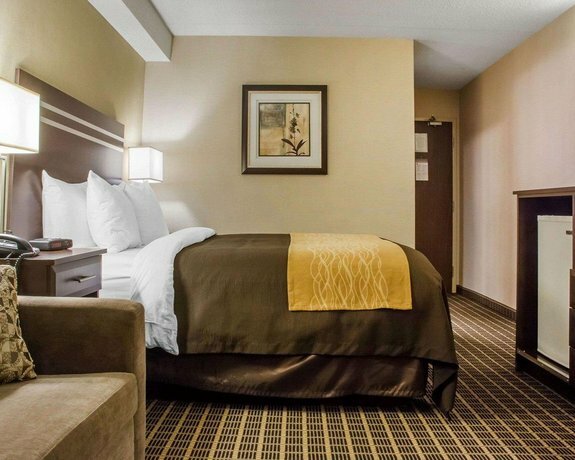 A couple of guests complained about smelling cigarette smoke in the halls and a couple of reviewers noticed stained carpeting in their rooms. Isolated complaints included: noise disturbances from a neighbouring ice machine, the dining area for the free breakfast was small and crowded, and there was no restaurant at the hotel. 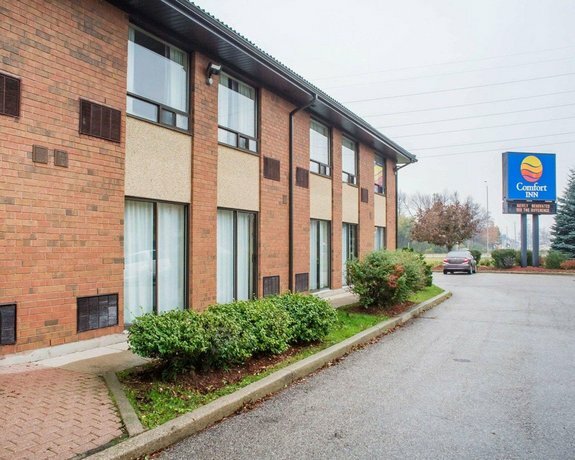 Expedia.ca gave this hotel an average score of 4 out of 5 with 100% of 5 guests recommending the property. 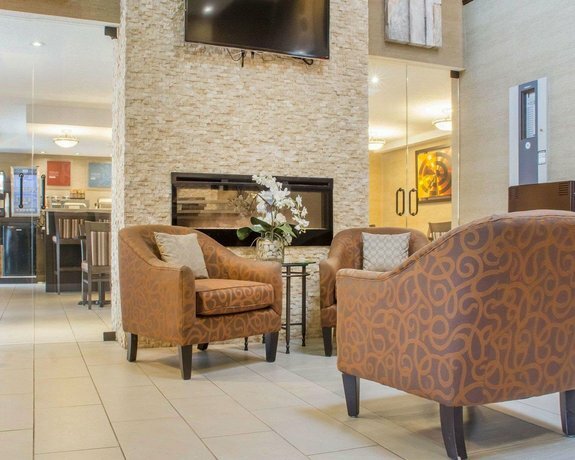 TripAdvisor.ca ranked this hotel #5 out of 12 properties in Guelph with an average guest rating of 4 out of 5 from 20 reviews. 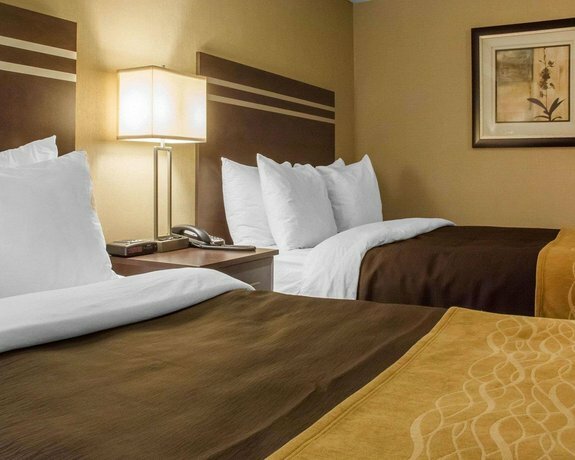 Hotels.com gave this property an average score of 3.8 out of 5 based on 26 guest reviews. Verified by front desk agent on November 12, 2012: The free breakfast is served from 5:30 am to 10 am on weekdays and from 6 am to 10 am on weekends. Pets are permitted at no additonal charge. 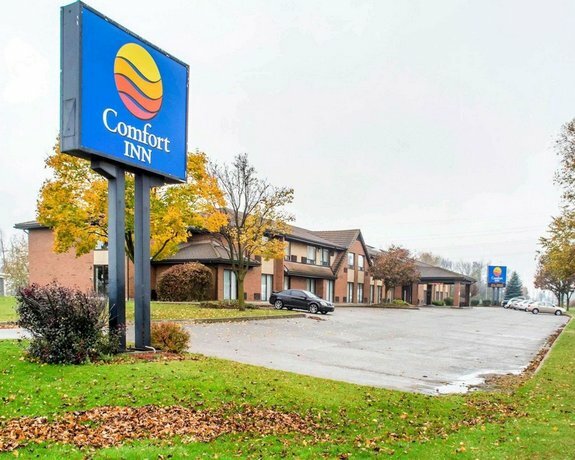 The average guest rating for Comfort Inn Guelph is 8.0 out of 10 based on 1526 reviews from past guests. 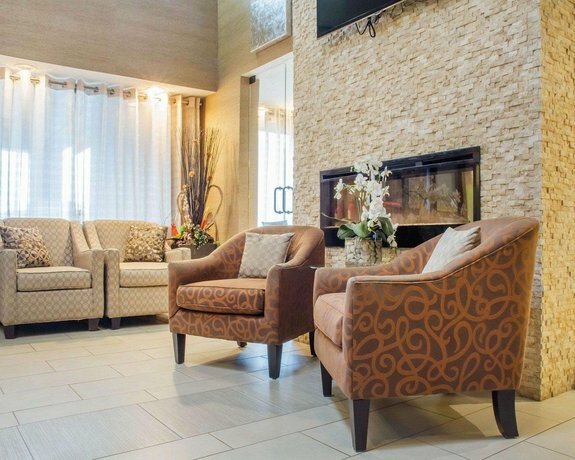 This average guest rating ranks Comfort Inn Guelph at #6 out of 10 hotels in Guelph.